4 SEO Trends that are Defining the Internet. Guest Post by Walter Moore. Google’s much expected algorithm is already here and as an online marketer, it is important to review your SEO strategy to stay ahead of the pack. 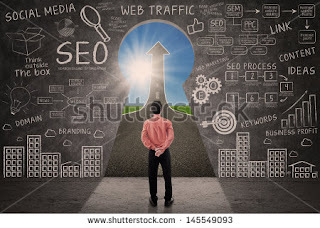 The SEO landscape has changed tremendously with search engines becoming smarter. With advances in search engine optimization tools, you can now get much more from your website by leveraging these new ideas. If your website is not leveraging video content, then you are missing out on the gravy train. Video content is the most popular marketing tool today and it will continue dominating search engine result pages (SERPs). Videos engage your target audience much more easily and they are rapidly shared on all internet platforms. A Marketing Land Report shows 62% of all Google searches are video and this is bound to grow. A Quicksprout study shows that video earns 50% better organic page ranks on Google. Smartphones have now overtaken desktops in internet use. According to Pew Internet Research, 4 out of 5 smartphone users use their devices to shop. Over 1.2 billion people are using smartphones to access the internet and mobile traffic now accounts for 15% of all internet traffic. These numbers highlight the importance of responsive web design in order to tap into this large market. If your business is not on Facebook and Twitter, then you are losing out on a great marketing opportunity. Business conversations are now taking place on social media networks. An eMarketer study shows that 76% of marketers use social media and these numbers are growing. With billions of users on social media networks, it is crucial. Social networks are now being indexed by search engines and your SEO expert must build a social media marketing strategy to help your business grow. There is an app for virtually everything you want to do. Mobile users are finding it easier to start their internet experience through a mobile app and your website must have such an app to increase lead and sales conversion. Great SEO Trends. Thanks for Sharing.